In keeping with Total’s ethos of a Company only being as good as its people, the magazine will showcase staff profiles, industry related news, CSI information and the latest Total company news and communication. Engaged employees stay with companies longer as they feel part of a company team, company culture, and values . @Total will focus on developing staff engagement to ensure better business results for Total SA. “As content specialists John Brown is adept at assisting businesses to communicate their company values, business objectives and profile staff and corporate initiatives to employees in a way that is accessible and engaging in professional manner. Staff communications are key to empowering employees and engendering company loyalty. The @Total publication is key to Total SA’s internal communications and we are excited to be working with the dynamic Total SA team,” says Lisa Visser, John Brown Media Group Account Director. The 28 page A4 print magazine will be published quarterly. 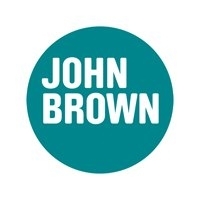 John Brown Media is part of a leading global content agency with clients such as Pick n Pay, Edgars, Discovery and Spur locally, and Waitrose, John Lewis, Orange, RBS and Spinneys abroad. Their track record in helping their clients maximise customer engagement on multiple platforms is evident in the both the diversity and longevity of the client portfolio. John Brown has offices in Cape Town, Johannesburg, London, Hong Kong and Dubai.